Helena Valley resident, Peter Rafferty, was given just nine months to live when he was diagnosed with the terminal disease mesothelioma in December 2015. At 45 years of age, Peter was carrying on a happy, busy life with his wife Bec, their three sons (17, 16, 10) and foster child (3) blissfully unaware of the journey that lay ahead. Life had been full of promise as Peter and Bec planned for the future. Passionate about caring for children whose family lives are not ideal, they had fostered seven children to this point and would often find themselves with up to eight people living in their small, 3 bedroom, 1 bathroom home in Helena Valley. Having done life tough as a youngster, Peter was determined to provide a stable, happy environment. 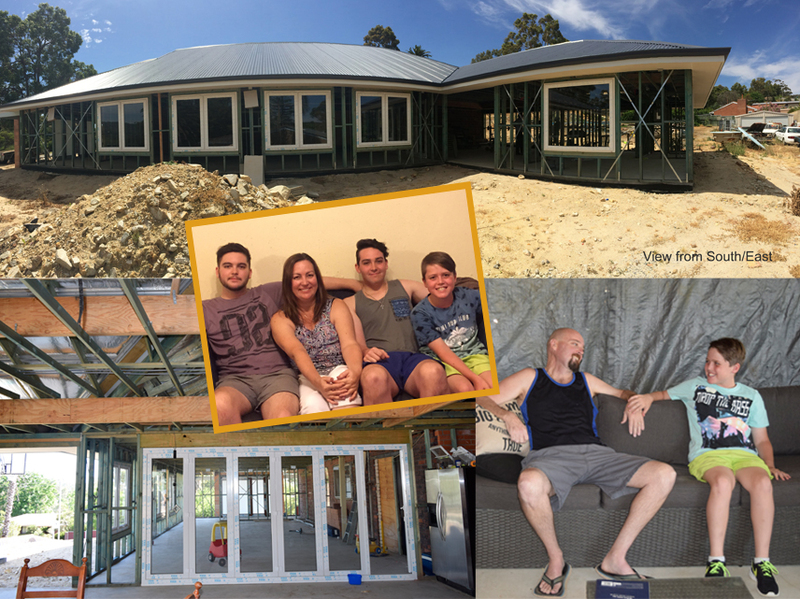 With this in mind, Peter and Bec began an owner- builder project in 2015 to increase their living area and the number of bedrooms. As a real estate agent, Peter had flexibility to work around his family and life commitments as he undertook this major project. However, life took a tragic turn when the couple received the devastating news that Peter had mesothelioma – a terminal asbestos-related cancer. The couple were in shock as they weren’t aware at the time, of the dangers of asbestos. Since his diagnosis, Peter has got progressively unwell and things are now looking grim. Constantly in pain, Peter has been unable to work to earn an income and his ability to continue work on their dream home has been limited. Despite the hardships, by October 2015 the renovations were well underway with the concrete slab laid, the framework and roof up and the walls ready to be clad. Approaching the bank for finance to purchase the required materials, they were advised that, due to Peter’s lack of income and the slump in the housing market, they would be unable to re-finance until the addition was at “lock-up”. But Peter and Bec were not entirely alone in their journey. 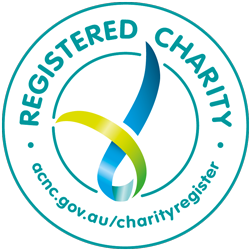 During 2016 the couple became connected with a support group for mesothelioma sufferers and their families through the Reflections Through Reality Foundation. 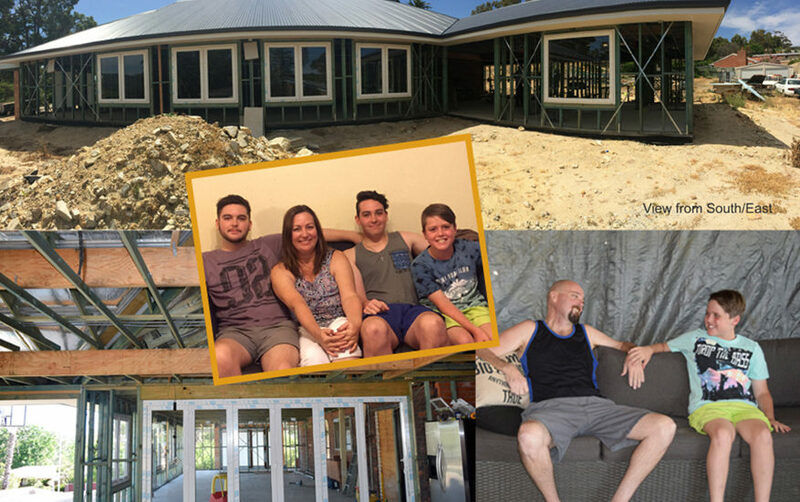 The foundation’s Operations Manager, Jo Morris, approached Michael Mclean, Executive Director of Master Builders and Ambassador to the Foundation, and explained the Rafferty family’s situation. Without hesitation Master Builders, along with its President Rob Spadaccini from Spadaccini Homes, offered their support. Suppliers and trades are coming forward to provide what they can toward the project but WE URGENTLY NEED CASH to help cover unavoidable overheads. Some of the materials and trades will require funding and we urge you to help if you are in a position to do so. Donations can be made via this link and all donations over $2 are tax deductible. Thank you for being part of this exciting project.